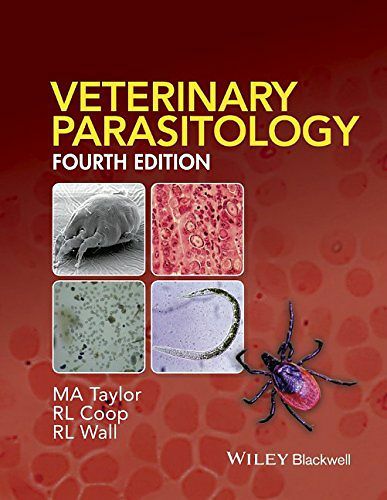 The recipient of much praise and acclaim, Veterinary Parasitology is widely considered to be the definitive veterinary parasitology reference for practitioners and students alike. This Fourth Edition has been developed and enhanced into a two-part reference to reflect recent advances in the field, modern teaching practice, and updated parasite taxonomic classification systems. Part One contains expanded individual parasite descriptions using current taxonomic status within three new chapters on Helminthology, Protozoology and Entomology. Further updated chapters are provided on: The laboratory diagnosis of parasitism, Antiparasitics, The epidemiology of parasitic diseases, and Host resistance to parasitic diseases. Host species chapters have been retained and expanded and are found in Part Two of the edition. Thoroughly revised and restructured to reflect the most up-to-date advancements in the field, Veterinary Parasitology, Fourth Edition, enhances its stellar reputation as the gold standard reference text for the global veterinary profession.